Well guys, today is the day. The official release date for Decorating Cookies. I know Amazon and Barnes & Noble shipped a bit early, so some of you have it already. YAY!!! This book is for you. You, who have never decorated a cookie. You, who have attempted and want to try again. 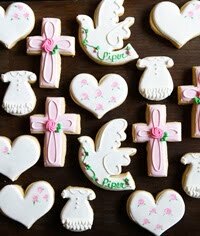 You, who love decorating cookies and are looking for some new ideas. This book is FOR you and because of you. All of you...whether you've been reading Bake at 350 for 5 years (ok, that would just be me), or 5 seconds. YOU. I love that visual Table of Contents! I cannot say enough about the people at Lark Crafts, the publisher. They pretty much rock. EVERY project has a step-by-step photo tutorial. 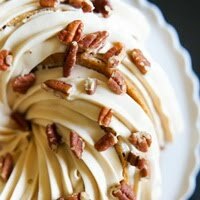 Most of the cookie designs are new, but there are a handful of favorites that we just had to include...most with a new twist. Oh! 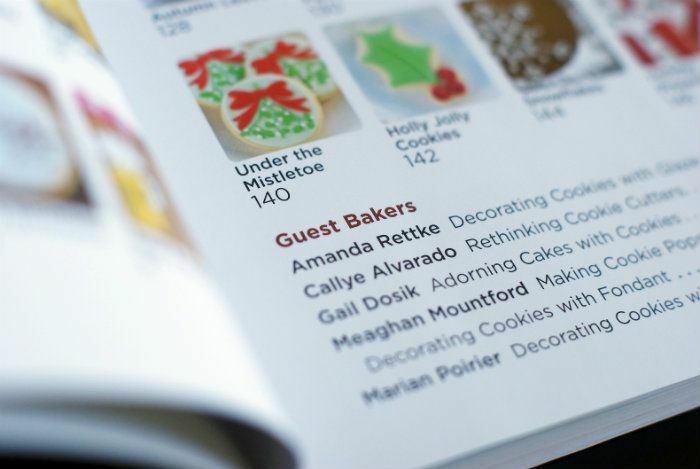 Not only that, but 5 superstar guest cookie makers show one of their specialties! 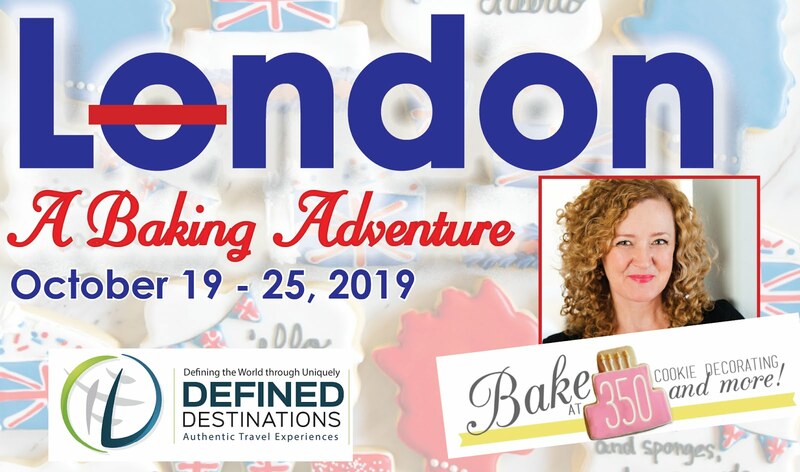 We're talking: Amanda from i am baker, Callye from The Adventures of Sweet Sugarbelle, Gail from One Tough Cookie, Meaghan from The Decorated Cookie, and Marian from Sweetopia!!! I know, right?!? I'm so thankful for their beautiful contributions! Shouts-out (shout-outs?) to Amy, Melissa, and Kate for letting me use some of their fabulous artwork for a couple of projects...and to Amanda of Everyday Elements for making yours truly presentable in the author pics. 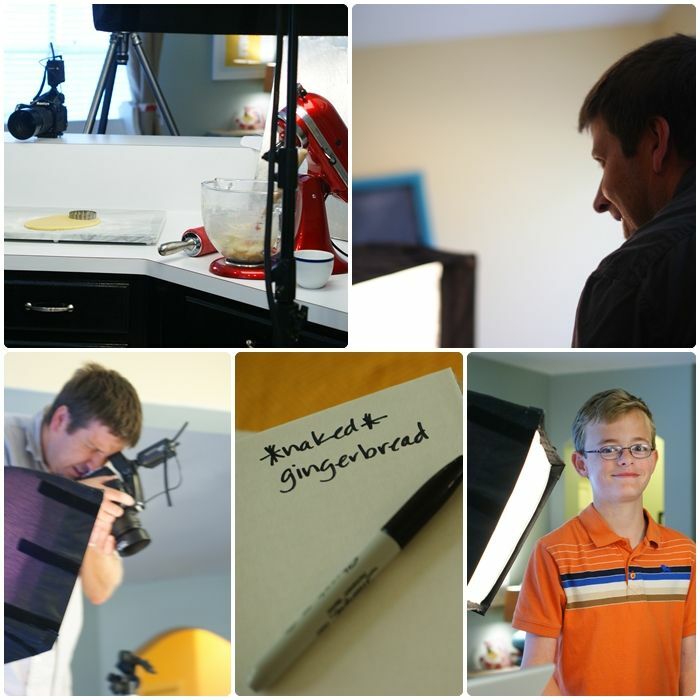 Wanna see a little behind-the-scenes from our 6-day photoshoot for the step-by-step cookies? In two of those pictures, you'll see Steve Mann...the book's photographer. Yay, Steve!!! Are you still here? Oh, good. Guess what...I have something for you to celebrate! To enter for the mixer, leave a comment. That's it. To enter for a signed book, leave a SEPARATE comment telling me where you live (city, state, country...whatever). I really, truly hope you love the book as much as I loved eating the cookies that are in it. Brandie: "That mixer would look fab in my kitchen... and get TONS of use!" 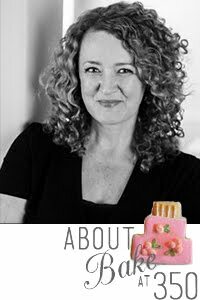 Allison Jordan: "I am a seemingly hopeless cookie decorator (better with cakes) but am determined to learn - your book looks amazing! I am a transplanted both-coaster now living in Greensboro, North Carolina... Congratulations! Cookie on"
Nane Şekeri: "Congradulations for the book.In Europe it is still pre-order :( I live in Netherlands." Mrs Cosper: "Because of your blog everyone in my family will be getting personalized cookies for Christmas! NC LOVES you!!" Kristen M.: "Hi from San Diego. I'd love to win a copy of your book!" James: "Rural Illinois is getting cookies this holiday season!" I live in California...near the capital city. Gorgeous! Can't wait to buy a copy! I live in New Orleans, Louisiana. Love looking at your decorated sweet perfection! 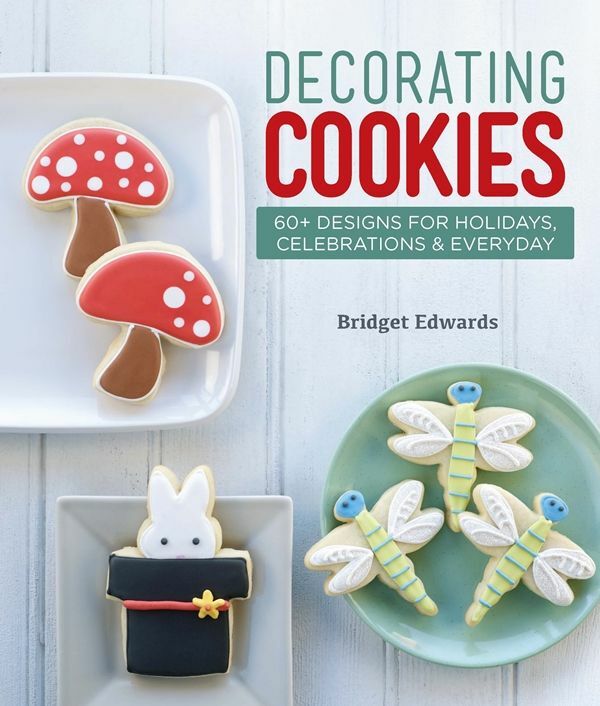 Perhaps your book will inspire me to try my hand at decorating cookies again. Your cookies are gorgeous. You are so talented. I would be happy if I could decorate a smiley face cookie. 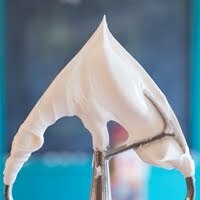 Just can't seem to get the icing right. Would love to win the mixer!!! Congrats on the book!!! 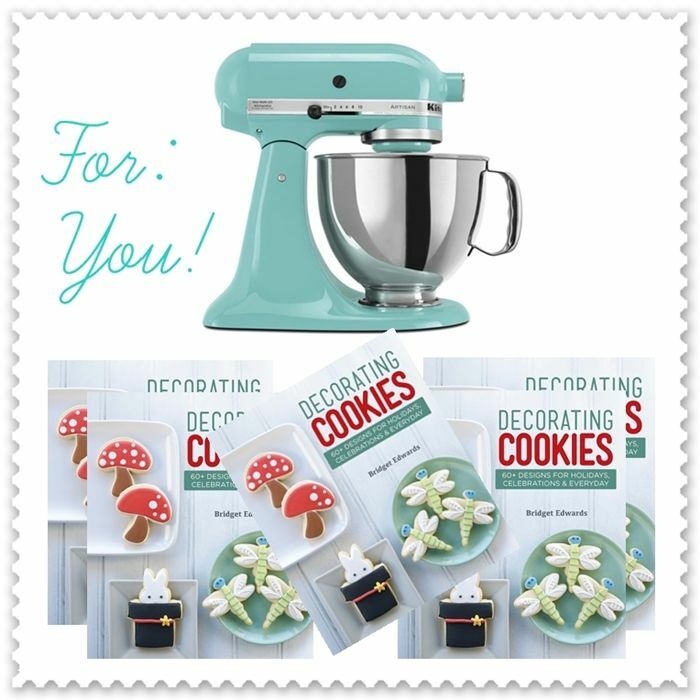 Love the blog, Pin most of the cookies for inspiration, looking SO forward to the book, would totally dig/use that pretty blue machine! Thanks for the opportunity! I live in Kansas City, MO the book looks great!!! Also - I live in Lake County, California! I love how you give us a behind the scenes photography session! What an exciting day for you and all that you put into making this awesome create book happen. It just seems like cookies would come out yummier if they were mixed in that beautiful mixer! Congrats! CONGRATS on the book! It is wonderful! So excited for you! Congratulations on the book! It looks brilliant! Congrats! Definitely need to add this book to my cookbook collection! I love your cut out cookie recipe, baked it a few times now and I get really good feedback from my friends who have tried it even though my decorating skills are not anywhere near yours! I live in Singapore. Would love to get a copy of your book! I just love your blog. I've learned so many things and I am now a pretty good cookie decorator. Thanks for the inspiration and congratulations on your new book. IT LOOKS AWESOME! I can't wait to go to the book store to see it. Добрый день!!!! Я из России, Читаю ваш блог в превиликим удвольствие мпару месяцев и уже заказала себе вашу книгу на Амазоне, жду с нетепением!!!!!! I can't wait to read your book and get baking!! Bridget! I can't wait for your cookbook! I will definitely be purchasing it for myself and others. I would love to have the book!! I'm from Spain. I would love a mixer! I live in Nashville, TN! 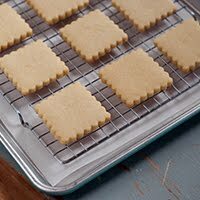 Great web site, I am going to make the butterbeer cookies tomorrow. Thank you for such a fun recipe. I would love to win the mixer. I'll buy the book. 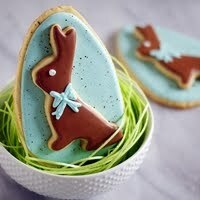 Maybe I will try decorated cookies too. This is awesome! Congrats on this awesome book. I love the color of that Kitchenaid! I live in the beautiful city of Barcelona, Spain. I would loooove a copy of your book! Congratulations, Bridget! I live in Kuala Lumpur, Malaysia and would love to have a copy of your beautiful book! Hi Bridget, your book is amazing, I really love it! Congratulations on your new book! I love your blog! I live in Marina, CA....thanks! Oh, I live in California. Love the book! Love the Blog! I bet my friends and family here in AUSTRIA would love decorated cookies! Congratulations on your book! The visual Table of Contents- what a great idea! Congrats! I can't wait to pick up your book. 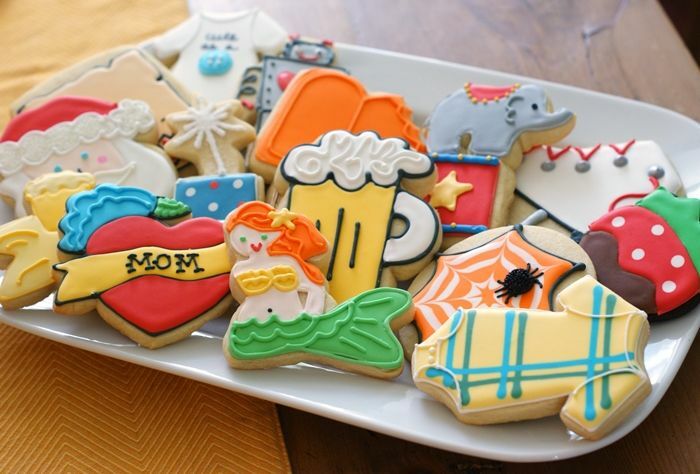 Those onesie cookies will be a perfect baby shower favor! Thanks for sharing your awesome talent. I live in Valparaiso, In. Hey! I live in AUSTRIA! Thanks for your inspiring work! That's a super cute pirate parrot! I live in outback Australia and would love a copy of your book. Hi, I live on the South Coast of New South Wales, Australia. Congratulations on the book - it looks amazing!! Oh wow what an awesome book. I live in Narre Warren South, Victoria, Australia. Congratulations on the book. It's beautiful. Congratulations!! Such an exciting day for you!! Congratulations on this gorgeous book! The reference has been sent to my husband as a hint for my birthday this month. I always marvel at your creations. Congratulations, the book looks amazing! I've been a Wisconsinite my whole life. I live in Frederick, Maryland. You must be so excited! Good work! You're the best! Is it greedy to leave another comment telling you I live in Winchester, Virginia? Let's face it, who wouldn't love to have that sweet mixer, or a signed book?! That mixer is the perfect color for my kitchen. Here's hoping. I live in Ohio, near Lake Erie. We get lots of snow, perfect for staying inside and decorating cookies. I would love to win the mixer. The color choice is beautiful!! I live in Ohio. A very small town over an hour to any real shopping. I am only 10 minutes away from the Indiana and Michigan borders though. Wow, that's such a cute book, I've wanted to do your amazing cookies for a long time now. I live in Chennai, India- the land of the elephants and coconut trees! Congratulations! You are incredibly talented and oh so creative. Awesome! All I need is that mixer to go with my copy of your amazing book and the holiday baking shall commence! Congrats! I love reading your posts here in London, UK. Those toadstools on the cover are so cute! Oooh I want that book so bad... I live in Sweden, and here cookies are an absolute must if you want to survive through the winter. I live in Katy, Texas. I love recieving new blog posts from you too see what you've been up to in the kitchen! I love the color of the mixer!! I live in Mechanicsville Virginia!! Now that mixer sure would come in handy. I would love to receive a signed copy of the book. That would be great to start decorating cookies! Thanks for the chance! I would love to have a signed copy too, it looks terrific! I live in Scotland, United Kingdom. So excited for you and so excited to get a copy of the book!!!!! My congrats for your amazing book, the cover is simple but gorgeous. I would lobe to have a signed copy. I live in Algarve, Portugal. I love your recipes especially that make your son. He's charming and he works very well. Congrats on the new book! Love reading the blog. Love your blog, congrats on the book! You are very talented....I live in Massachusetts. I can't wait for my copy to arrive! Congratulations! Ahh! I hope I win the stand mixer. I've always wanted one! I live in Augusta, GA! I live in Toronto Canada! Ohhh I am in need of a new mixer! And I love the color! And I live in Black Mountain, NC! I live in Peachtree City Ga. Congrats on your book! Of all the blogs I follow, I look forward to seeing what beautiful creative cookie you come up with. Can't wait to get your book! Blessings!!! 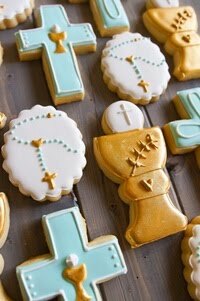 With a KitchenAid I could make some of your beautiful cookies! KitchenAid mixers are the best!! Love the aqua color. Congratulations on your beautiful book - how exciting! Congrats, can't wait to see that beautiful book! Conrats on your book! This is so exciting not only for you, but us as well! Thank you for inspiring me to decorate cookies! I love your passion! I'm from Westlake, OH, near Cleveland, I would love a copy of your book. I think it would make a great Christmas gift for some people I know. Thanks for the chance! Looks like great fun!! Congrats! Can't wait to try all of the new ideas for cookies in Indiana! So excited for you. It looks beautiful.....and delicious! Your new book is beautiful and this mixer would look beautiful on my counter! The books is marvelous at what it does. 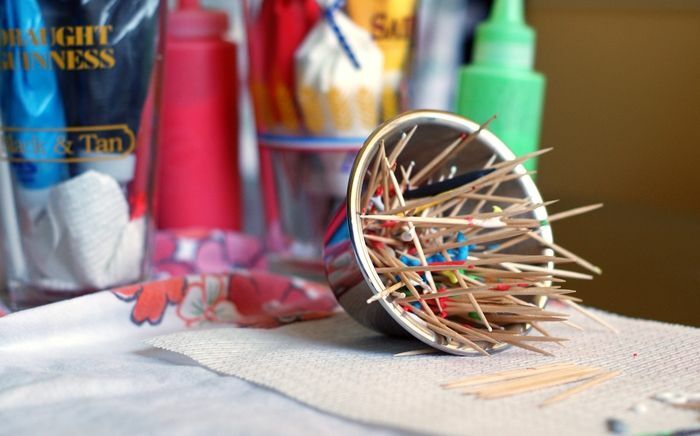 Not only it's fun for adults but also keeps kids busy for hours. I live in Tampa, FL. The pirate cookies will be perfect! This is one of my favorite blogs! You are so talented! Congrats!!! Love the aqua Kitchen Aid mixer ! 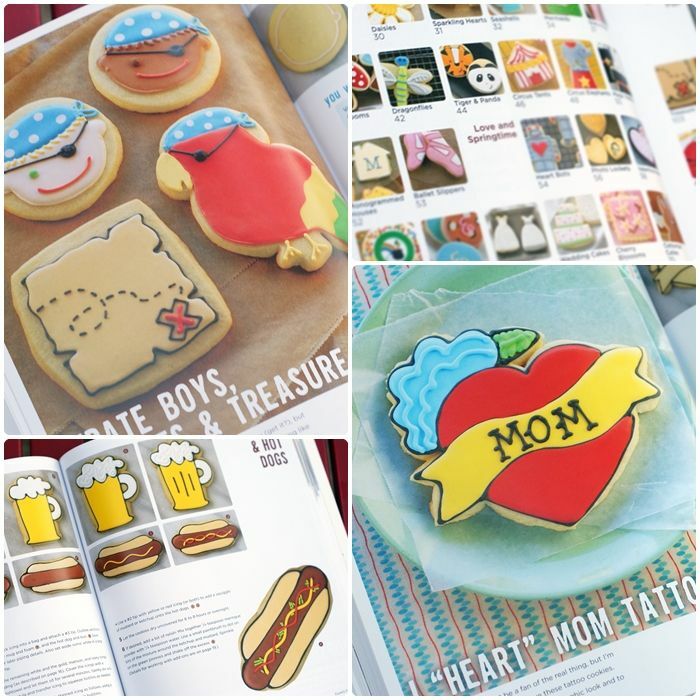 Very excited about the book, can't wait to see all of the beautiful cookies. I am ready to bake ! This book looks amazing! Congrats! I live on the Vermont/New Hampshire border, currently basking in fall! I have tried a couple of your recipes and they always turned out great! I'm from Malacca, Malaysia and congratulations on your book! I live around Milwaukee, WI. I ordered the book last night! Can't wait to get it. I live in Gulf Breeze, Florida. I live in New Braunfels Texas and can't wait to read the book. I live in Michigan - halfway between Kalamazoo and Grand Rapids. How exciting! I can't wait to read the book! I just started baking cookies and it has really blessed me! I love this mixer and need to bake my volunteer cakes for hospice! Love your blog! Truly Amazing! Love your Blog! Congratulations on the book release! It looks amazing! I love the book and would love to have a copy, I'm in Westerville, Ohio! I live in Lansing, MI. Love your blog, and now your instagram! Congrats on the release of your book!!! Can't wait to get my hands on the book! COOKIES!!! The book looks amazing!!! Congratulations! The book is amazing! Fan from Covington, Georgia, USA over here!!! A big congrats! Book looks amazing, good for you! A big wave all the way from Tasmania .. you know the little island at the bottom of Aus!! I live in CHANIA , GRETE, GREECE, it would be great to have a signed copy off your book. Congrats! How exciting is this?!?! Congrats on your beautiful book! The book looks absolutely FANTASTIC! Yaaay! Can't wait to read it! What an awesome book. It is going on my Christmas wish list. :) Congrats! Congrats Bridget! How exciting to have a book! I always love to see what you have decorated...you're inspirational! Florida here drooling over the sneak peek! I live in the West Central Mountains of Idaho. wow! congratulations on the book! And thanks for the giveaway!! I'd love to win a mixer! I love love love your blog and looking forward to decorating with the book in hand with your fabulous talent!! We might be the smallest state in the union but we Rhode Islanders bake it up big! Congrats on the book! And thank you for the giveaway!